Bob Sinicrope has been devoted to service his entire life. As far back as age five Bob performed in his family’s organized fund raising variety show in their backyard to benefit polio research. At Platt High School in Meriden, Connecticut he was active in the Key Club, the school’s service organization, and was selected as Key Clubber of the Year. His involvement with youth started in his teenage years when at age seventeen he served as a summer playground counselor. By nineteen, Bob was assistant director of the New Haven Boys Club summer overnight camp. During his college years as a math major at Worcester Polytechnic Institute, Bob served his Social fraternity TKE as pledge trainer and President. Bob also was President of the math honor society Pi Mu Epsilon and was one of only five juniors at WPI selected for Tau Beta Pi, the school’s honor society. After college Bob joined the Peace Corps. He trained in a San Diego inner city school to implement a new math program in five primary schools in Montego Bay, Jamaica. During his tour he became an officer in Rotoract, a service club for younger Rotarians. Bob was also asked to write music for Jamaica’s National Dance Theater Company and his composition, “A Question of Balance” premiered in Kingston in 1972. This encouraged him to come to Boston and study music at Berklee College of Music. While studying there, Bob served as a substitute teacher in the Boston Public Schools. In the fall of 1973 Bob began teaching math full time at Milton Academy. During his 2nd year he founded the Milton Academy jazz program. Over the years this program has grown from one course with six students to ten courses with ninety students from grades six to twelve. As the program evolved so did Bob with generous support from Milton Academy, a private study grant from the National Endowment for the Arts, and six performance grants from the Massachusetts Arts Lottery commission. He received a Masters degree in math education from Boston University in 1976. As a result of his leadership and dedication, the Milton Academy jazz courses have grown into an internationally respected program. He particularly enjoys having his groups use their music to outreach and connect. In 1991, after hearing the group perform his compositions, esteemed South African pianist Abdullah Ibrahim rushed to the stage and invited the students to tour South Africa. Their first tour in 1992 was followed by six additional tours that have become legendary. Over 200 students and family members have experienced these tours. The WCBV-TV show CityLine did an entire episode documenting the 2001 tour. In southern African Milton Academy has developed meaningful and ongoing connections with the Music Academy of Gauteng, the University of Natal, the Maru-a-Pula school and the Amy Biehl Foundation. Each of these schools have visited Milton Academy and hosted Milton students in Africa. The Amy Biehl Foundation has created a Human Rights Day township jazz festival four times in honor of Milton Academy’s visit to Cape Town on that special day. On these tours, the jazz groups have delivered over $90,000 retail value worth of donated materials to needy South African schools. Milton Academy jazz students have played twice at the White House and for the inauguration celebration of Bob’s former math student Massachusetts governor Deval Patrick. Their tour resume also includes the North Sea, Viennes, Fribourg and Montreux European jazz festivals and six International Association for Jazz Education conferences. They have won four national awards as best high school jazz combo. Their outreach includes developing a special and ongoing relationship with the Randolph based Higashi School for autistic children and the schools annually perform together at Ryles jazz club. Bob has brought artists such as Ruben Alvarez, Babatunde Olantunjii, Harry Pickens, Bobby Sanabria and Poncho Sanchez to Milton Academy and shared them with surrounding schools. Milton jazz groups have opened for Jim Hall, Dave Holland, Abdullah Ibrahim, and Elvin Jones. The student group was also featured at the Desmond Tutu award dinner where Desmond Tutu presented this award to Danny Glover. Las fall the students performed for the National Public Radio show “Says You” for the second time. Several graduates are enjoying careers playing and teaching creative music most notably Aaron Goldberg and Steve Lehman. His involvement in jazz education extends well beyond Milton Academy. Bob has traveled numerous times to teach and consul with various South African jazz programs. At the request of the University of South Africa, he has initiated and will direct a weeklong jazz workshop in South Africa this summer. For over twenty years Bob taught adult jazz classes at the John Payne Music Center. Since 1981 Bob has served on the staff for Jamey Aebersold’s Summer Jazz Workshops in Louisville, Chicago and London, England. He now runs a special weekend program for rhythm sections as an adjunct to the Aebersold workshops. Bob is currently a Board member of the Jazz Education Network and chairs the membership committee. The International Association for Jazz Education and Berklee College acknowledged Bob’s teaching in 2007 by selecting him as the inaugural recipient of the John LaPorta Jazz Educator of the Year. Berklee College supported Bob with an Alumni Award Grant to teach in South Africa in 2004. 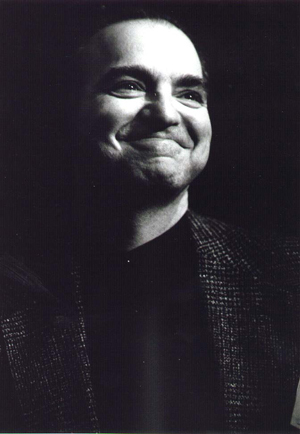 In 1998 at the 25th anniversary of the Milton Academy Jazz program, two funds were launched – the Bob Sinicrope Visiting Artist Fund and the Barbara Lee Family Fund in honor of Bob Sinicrope. These funds bring musicians to Milton Academy to teach, perform and culturally diversify the campus. In 1994 Milton Academy honored Bob with a Talbot Baker Award for Excellence in Teaching. Travel is vital to Bob and he manages to incorporate sharing his love of jazz into many of his visits. He has taught in seventeen countries on six continents and throughout the United States. He and his wife France recently traveled to Cuba where Bob presented a workshop and delivered nearly $4000 worth of donated materials to aspiring musicians. Bob is also active in the charitable work of his Indian spiritual teacher Ammachi. Bob is an accomplished double bassist and multi-instrumentalist. He began his parallel career as a professional musician at age 13 and continues to regularly perform six decades later. During college, Bob paid his tuition by working with a polka band that traveled throughout the Northeast on weekends. He has played in a wide variety of settings and performed with Shirley Bassey, Jerry Bergonzi, President Clinton, Billy Eekstine, Mississippi Fred McDowell, the Boston Pops, and the Artie Shaw Band among others. Bob leads his own band “The World Leaders” which features beautiful music from around the globe.